Kathreen Khavari will voice fan-favorite Muslim superhero Kamala Khan, while Cierra Ramirez will play the Latino-American LGBT character America Chavez. Both New Warriors and Agents of S.H.I.E.L.D. stars Milana Vayntrub and Chloe Bennet will voice their respective characters of Squirrel Girl and Daisy “Quake” Johnson, joining fellow Agents stars Ming-Na as the villainous Hala and Dove Cameron as Gwen Stacy’s “Ghost Spider.” Additional cast and characters include Tyler Posey as Inferno, Kamil McFadden as Patriot, Kim Raver as Captain Marvel, Booboo Stewart as Exile and vocal artist Dee Bradley Baker as Tippy and Lockjaw. 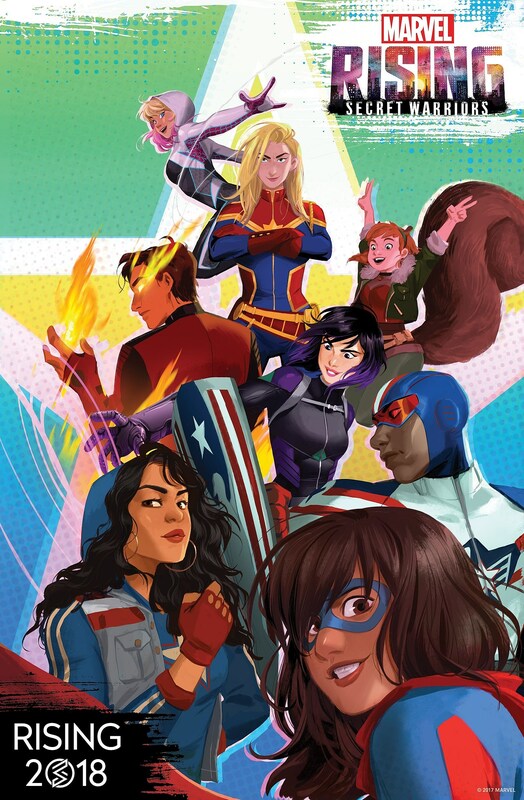 It isn’t clear exactly when (or where) Marvel Rising: Secret Warriors will premiere the full feature-length film, but stay tuned for the latest details in the meantime.